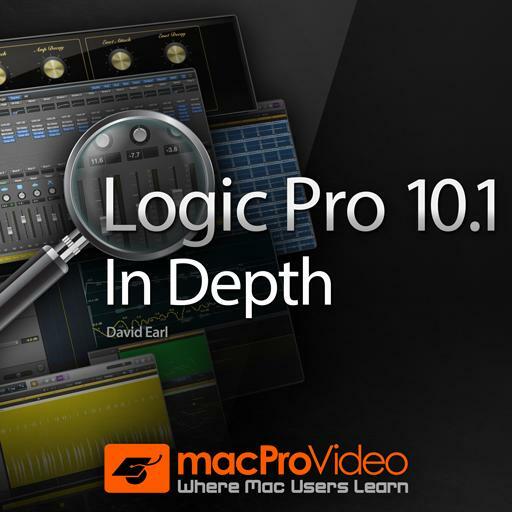 Logic Pro X - 10.1 In-Depth. Turning on and writing automation for any of the voices within Drum Machine Designer will automatically create a track. True or false? How is 'Follow' in Logic's Drummer different from Logic's MIDI Quantize? Is there a key command to toggle the Musical Grid between bars and beats? Region Automation always has priority over Track Automation. True or false? How many new Electronic Drummers have been included in Logic Pro X (10.1)? How many new Alternative Drummers have been included in Logic Pro X (10.1)? TRUE or FALSE: The 'Humanize' know is completely random, and humanizes all parts of the beat. What’s new in Retro Synth? How can you snap all your selected notes to the place where your Playhead is? Drum Machine Designer is a front end for Ultrabeat. True or false? In Logic Pro 10.1, you can now have multiple Drummer tracks. True or false? The Smart Controls that are available in Drum Machine Designer can be automated. True or false? How many new Hip-hop Drummers have been included in Logic Pro X (10.1)? In Logic Pro 10.1, Command-R will bring up the Repeat Regions/Events dialog box. True or false? Drum Machine Designer offers _____ voices. What is Drum Machine Designer? In Logic Pro X (10.1), what are the default key commands to "Set Quantize Parameter to the Next/Previous Values"?